Economics is the study of PEOPLE, and choices. Much like sociology, except it focuses on the ordinary business of life! Therefore, economics is the study of wealth, but more so a bigger study of man. Economics has been taught boring and dull to those who are not interested in economics. BTW, I failed an economics class in college (failing to me is a “C”) and all I can say was the teacher was excited and knew his stuff, but a great teacher engages, he just doesn’t teach with passion and enthusiasm. He must engage! He has to get the least interested person engaged and able to grasp the info. 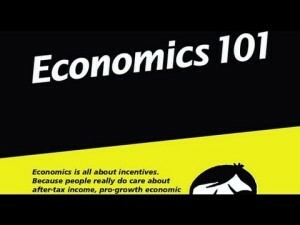 I hope this crash course helps you understand economic a bit better. How do you think ECONOMICS will help change some of the things you do in life everyday? !